Capture the attention of your clients and prospects by developing copy that really grabs attention. It can be difficult to write effective teaser lines, so we’ve pulled together 15 tips that will help you create powerful headlines for your direct mail, your eblasts and other client communications. 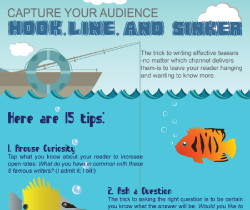 Capture your audience’s attention – Hook, Line and Sinker! 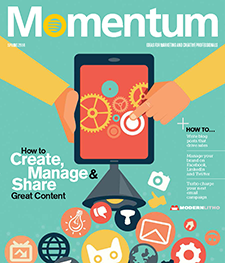 Creating and executing a powerful content marketing campaign can be tricky. That’s why we’re giving away the definitive guide to developing a content marketing strategy that will help to build and promote your online presence. Content Rules, co-authored by Ann Handley, will help get you on the right track to creating stronger, more meaningful content. Hurry! Register for a chance to win today! Drawing ends May 16, 2014. Click Here to Register for a Chance to Win Content Rules.